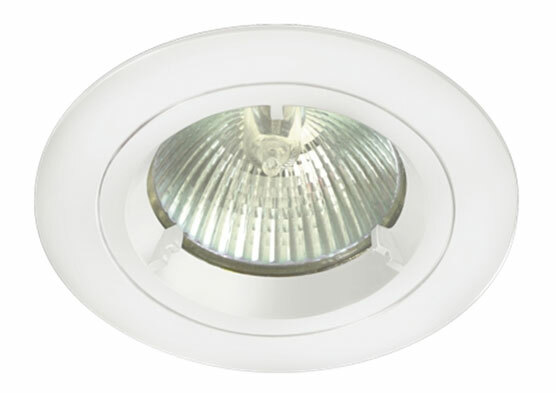 Quality gloss white finish die cast aluminium recessed downlight, with twist-lock front ring for easy lamp changing. This is a low voltage down light, supplied complete with an MR16 lamp holder, 10a connector block and bridge. Cut-out 70mm – minimum recess depth 80mm. Supplied without lamp. Please note: A transformer is required.